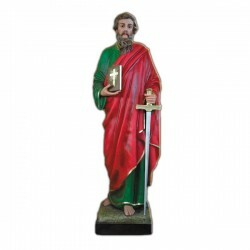 Statue of Saint Paul of 160 cm. Statue of Saint Paul, 160 cm of fiberglass, handmade in Italy. The apostle and martyr St. Paul is commemorated on the 29 of June. He was probably born in 3 in Tarso and he died in 65. He was the son of Benjamin, a jew producer of awnings. He was educated to the Holy Law and he dedicated himself in attendance of the jewish authorities against the Christianity. On the way to Damascus he had the vison of the Christ, which converted him to the Christian Religion. He moved for many years and he founded some churches between numerous difficulties: he sank, he was imprisoned, whipped, stoned and persecuted by his community. In spite of this, he continued to desire to suffer for Christ. According to the history, he was behaded in Rome. In the Liturgy he is venerated with St. Peter on the 29 of June and his conversion is celebrated on the 25th of January. The two saints are often illustrated together. 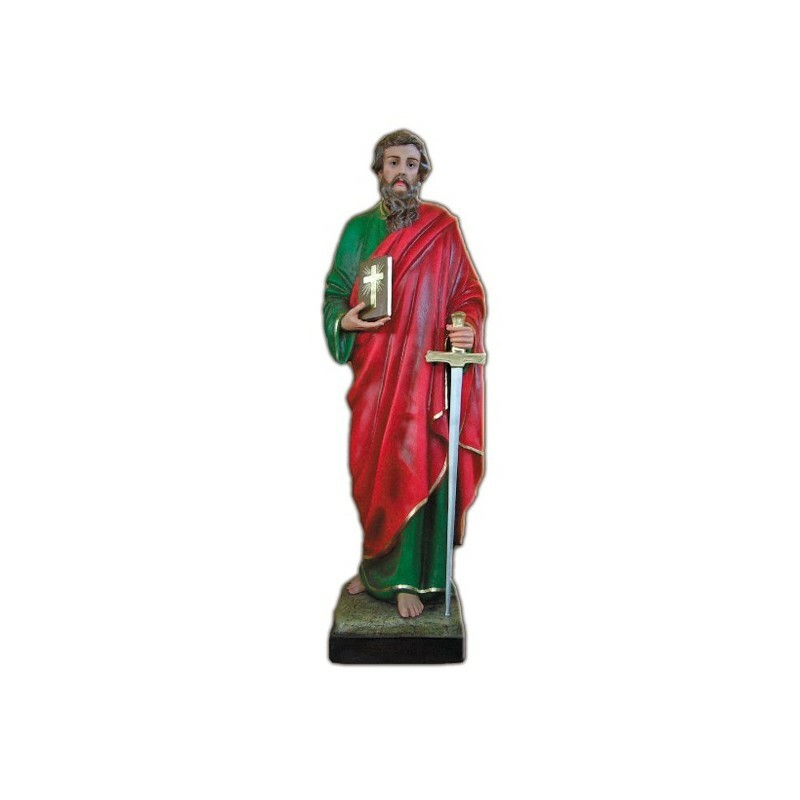 Saint Paul is painted as an old man, with a book in hand and a sword in his pocket. He is the patron of Lamezia Terme, Rome, Aversa, Greece, Malta and of the journalists, of the bishops and of the missionaries.